Kitty Krackel Tunnel $6/1 Or $10/2 Shipped FREE! You are here: Home / Great Deals / Kitty Krackel Tunnel $6/1 Or $10/2 Shipped FREE! The cats in my house would love these! 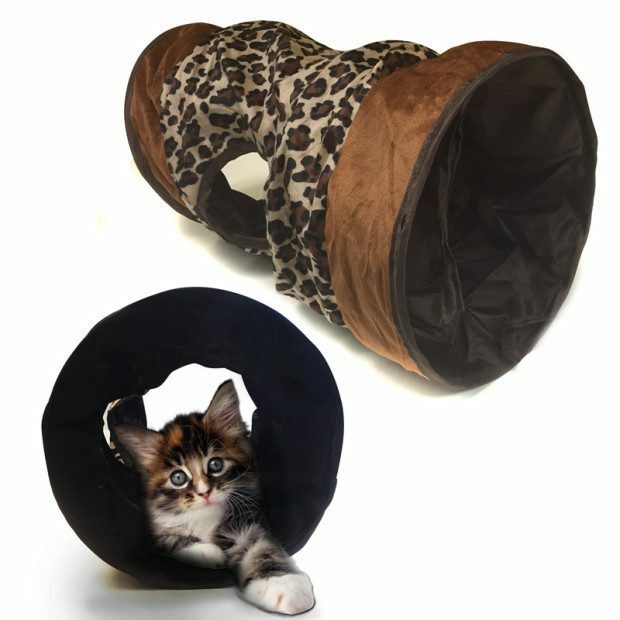 Order the Kitty Krackel Tunnel only $6/1 Or $10/2 Shipped FREE! Your cat will love exploring the mysterious tunnel that crackles with each step. The opening mid-way down the tunnel is perfect for hide-and-seek or playing chase with other cats. Lightweight and collapsible, the Krackel tunnel is portable and stores away easily when playtime is over!